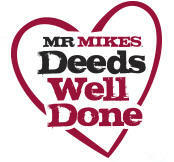 R MIKES® SteakhouseCasual is kicking off the holiday season with their “Deeds Well Done” community program. Between November 17 and December 31, guests in Chilliwack are encouraged to nominate fellow community members for their good deeds. A nominated “good deed doer” in Chilliwack will be randomly selected and will receive $500 from MR MIKES® to donate to a registered charity of their choice. 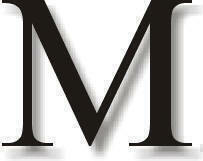 They will also receive a $100 MR MIKES® gift card as a thank you for taking time out of their busy schedules to make a difference in their community. To support the “Deeds Well Done” campaign, MR MIKES’® Chilliwack is partnering with the Chilliwack Chiefs for “Fill the Rink” supporting the Salvation Army. Every year, the Chilliwack Chiefs host a game in an effort to fill their rink with non-perishable food items for the Salvation Army. On Sunday, December 28, tickets for the game will be only $6 with a donation of a non-perishable food item. MR MIKES’® Chilliwack will be supporting the Chiefs by donating $1 from the sale of every Mikeburger from November 24 to December 24 to the Salvation Army on behalf of the “Fill the Rink” program.